We offer comprehensive range of Petri Dish Rack to our valuable clients. 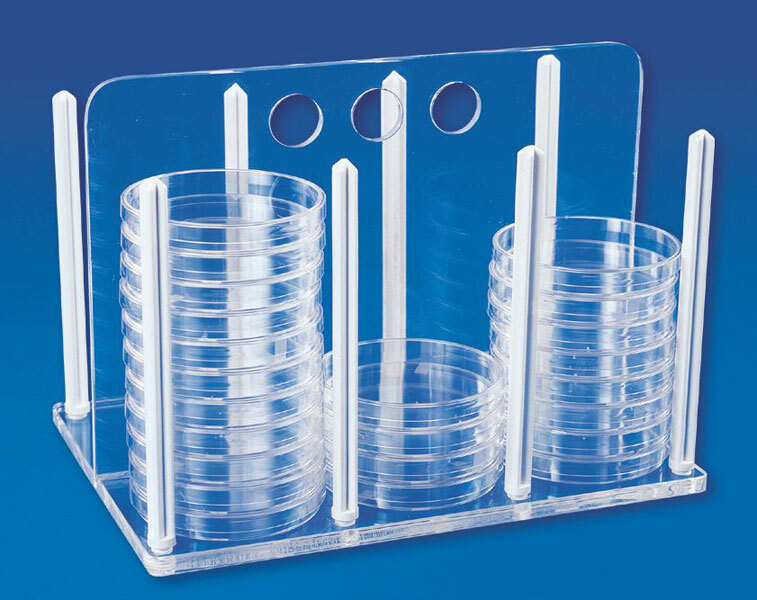 These Petri Dish Racks are clear acrylic construction with polycarbonate posts. Our range of 69101 Petri Dish Rack has a capacity to hold 60 petri dishes of 90 mm size while 69102 Petri Dish Rack can hold 56 petri dishes of 60 mm. Useful during inoculation, incubation & storage, Petri Dish Rack enables the culture to be seen & checked during.